Age Safe® America is proud to recognize the important contributions this specialized healthcare modality provides; and all the Occupational Therapists we have had the pleasure to of worked with over the years. Occupational Therapy Month began in 1980 to correspond with the annual conference and expo for The American Occupational Therapy Association. According to the American Occupational Therapy Association (AOTA), occupational therapy is the only profession that helps people across the lifespan to do the things they want and need to do through the therapeutic use of daily activities (occupations). Occupational Therapy practitioners enable people of all ages to live life to its fullest by helping them promote health and prevent, or live better with, injury, illness, or disability. The AOTA defines occupational therapy as the therapeutic use of everyday life activities (occupations) with individuals or groups for the purpose of participation in roles and situations in home, school, workplace, community, and other settings. 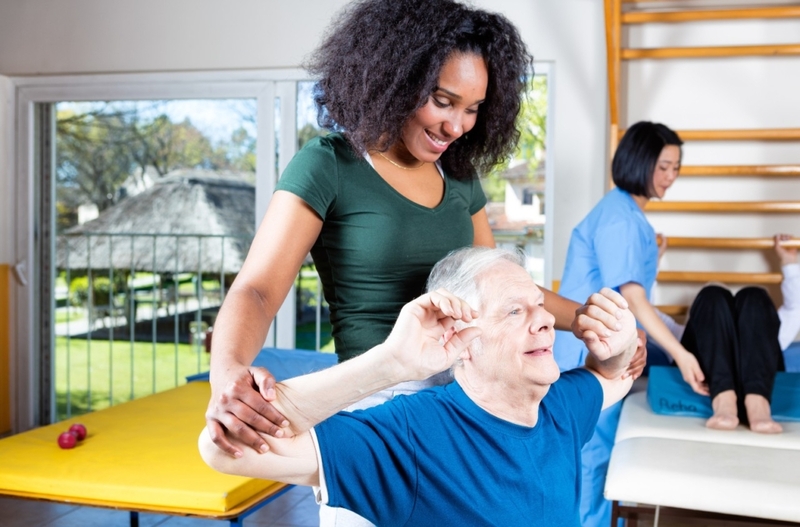 Occupational therapy addresses the physical, cognitive, psychosocial, sensory, and other aspects of performance in a variety of contexts to support engagement in everyday life activities that affect health, well-being, and quality of life. When injury strikes or long term wear of joints and muscles require rehabilitation, an Occupational Therapist provides the necessary exercises to get us back into our daily routines. Simply getting out of bed may be a challenge or moving from one position to another becomes a problem we need to overcome. Occupational Therapists have studied the movements required to make these transitions happen safely and to retrain our newly repaired body part to do the job. They know the therapies to help improve weakened muscles and alternatives when others fail us. For every age and ability, Occupational Therapists provide care to improve the quality of life to each patient. Common Occupational Therapy interventions include helping children with disabilities to participate fully in school and social situations, helping people recovering from injury to regain skills, and providing support for older adults experiencing physical and cognitive changes. We join in dedicating the month of April to thanking all Occupational Therapy practitioners who are committed to bettering the lives of their patients and especially those dedicated to our aging population. The important work that they do helps older Americans to remain safe and independent, and pursue the activities that are important to them, which would be difficult to accomplish otherwise. Falls are unpredictable for nearly everyone, but more so for people age 65 and older. According to the Centers for Disease Control and Prevention (CDC), more than one-third of people in this age category fall each year. In addition, those who fall once are two to three times more likely to fall again. Injuries from falls are responsible for significant disability, loss of independence and reduced quality of life. If you are an older adult (or provide care for a family member who is), fall intervention studies* show that preventive steps like home modification and exercise-based activities can help prevent falls and maintain independence. Safeguard your home by removing throw rugs, electrical cords and paper piles that could trip you up. Keep your driveway and sidewalks clear of leaves and other debris that could cause you to trip during the fall months. Repair cracks, lips or dips. Once winter arrives, consider hiring a snow removal service or a neighbor to shovel your sidewalk, steps and driveway if it snows where you live. Spread rock salt, grit or sand to help prevent slips and falls. Use shoe traction devices when walking outside in ice and snow. Have your pharmacist review all your medications several times a year to check for potential interactions that could trigger dizziness. Get your eyes checked. Impaired vision contributes to falls. Move your walking regimen indoors to continue it year-round. Fitness clubs and shopping malls are great places to keep moving. Build core muscle strength and strengthen your thigh muscles by exercising or attending fitness classes. Weakness from underuse of the quads and lack of physical strength are major contributors to falls. Learn about safe ways to fall (read “Avoid injuries from a fall”). Being aware of safer ways to fall may lessen the impact should a fall occur. Start by consulting a physical therapist or martial arts instructor who studies the effects of falls for their advice on safe falling techniques. You can find more fall prevention and safety tips on the CDC’s website at www.cdc.gov. * Source: A CDC Compendium of Effective Fall Interventions, 2nd Edition, 2010. When falling forward, turn your head to one side to avoid a direct hit to your face or nose. Open your palms to the floor to protect your wrists. When falling sideways, tuck your chin to your chest and keep your elbows close to your body. Be prepared to fall in a crouched, accordion-like position by bending at your knees and the waist. Your lower legs will hit first, protecting your hips. 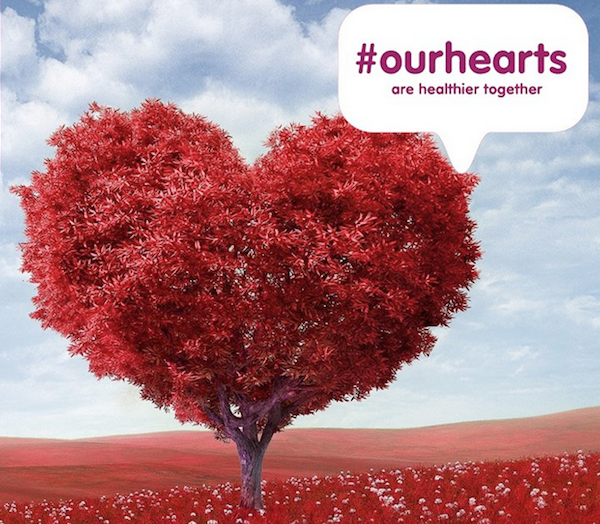 February is American Heart Month and this year’s theme is “Our hearts are healthier together.” Research has shown that having social support and personal networks makes getting regular physical activity, eating healthy, losing weight, and quitting smoking easier. During American Heart Month, assemble your friends and family and use #OurHearts to share how you’re working together to be heart healthy. High blood cholesterol is a condition in which your blood has too much cholesterol—a waxy, fat-like substance. The higher your blood cholesterol level, the greater your risk of coronary heart disease (CHD) and heart attack. Low-density lipoproteins (LDL). LDL cholesterol sometimes is called “bad” cholesterol. This is because it carries cholesterol to tissues, including your heart arteries. A high LDL cholesterol level raises your risk of CHD. High-density lipoproteins (HDL). HDL cholesterol sometimes is called “good” cholesterol. This is because it helps remove cholesterol from your arteries. A low HDL cholesterol level raises your risk of CHD. Many factors affect your cholesterol levels. For example, after menopause, women’s LDL cholesterol levels tend to rise, and their HDL cholesterol levels tend to fall. Other factors—such as age, gender, diet, and physical activity—also affect your cholesterol levels. Healthy levels of both LDL and HDL cholesterol will prevent plaque from building up in your arteries. Routine blood tests can show whether your blood cholesterol levels are healthy. Talk with your doctor about having your cholesterol tested and what the results mean. Children also can have unhealthy cholesterol levels, especially if they’re overweight or their parents have high blood cholesterol. Talk with your child’s doctor about testing your child’ cholesterol levels. To learn more about high blood cholesterol and how to manage the condition, go to the Health Topics High Blood Cholesterol article. Triglycerides are a type of fat found in the blood. Some studies suggest that a high level of triglycerides in the blood may raise the risk of CHD, especially in women. “Blood pressure” is the force of blood pushing against the walls of your arteries as your heart pumps blood. If this pressure rises and stays high over time, it can damage your heart and lead to plaque buildup. All levels above 120/80 mmHg raise your risk of CHD. This risk grows as blood pressure levels rise. Only one of the two blood pressure numbers has to be above normal to put you at greater risk of CHD and heart attack. Most adults should have their blood pressure checked at least once a year. If you have high blood pressure, you’ll likely need to be checked more often. Talk with your doctor about how often you should have your blood pressure checked. Children also can develop high blood pressure, especially if they’re overweight. Your child’s doctor should check your child’s blood pressure at each routine checkup. Both children and adults are more likely to develop high blood pressure if they’re overweight or have diabetes. For more information about high blood pressure and how to manage the condition, go to the Health Topics High Blood Pressure article. Diabetes is a disease in which the body’s blood sugar level is too high. The two types of diabetes are type 1 and type 2. In type 1 diabetes, the body’s blood sugar level is high because the body doesn’t make enough insulin. Insulin is a hormone that helps move blood sugar into cells, where it’s used for energy. In type 2 diabetes, the body’s blood sugar level is high mainly because the body doesn’t use its insulin properly. Over time, a high blood sugar level can lead to increased plaque buildup in your arteries. Having diabetes doubles your risk of CHD. Prediabetes is a condition in which your blood sugar level is higher than normal, but not as high as it is in diabetes. If you have prediabetes and don’t take steps to manage it, you’ll likely develop type 2 diabetes within 10 years. You’re also at higher risk of CHD. Being overweight or obese raises your risk of type 2 diabetes. With modest weight loss and moderate physical activity, people who have prediabetes may be able to delay or prevent type 2 diabetes. They also may be able to lower their risk of CHD and heart attack. Weight loss and physical activity also can help control diabetes. For more information about diabetes and heart disease, go to the Health Topics Diabetic Heart Disease article. For more information about diabetes and prediabetes, go to the National Institute of Diabetes and Digestive and Kidney Diseases’ (NIDDK’s) Introduction to Diabetes. The terms “overweight” and “obesity” refer to body weight that’s greater than what is considered healthy for a certain height. More than two-thirds of American adults are overweight, and almost one-third of these adults are obese. The most useful measure of overweight and obesity is body mass index (BMI). You can use the National Heart, Lung, and Blood Institute’s (NHLBI’s) online BMI calculator to figure out your BMI, or your doctor can help you. Being overweight or obese can raise your risk of CHD and heart attack. This is mainly because overweight and obesity are linked to other CHD risk factors, such as high blood cholesterol and triglyceride levels, high blood pressure, and diabetes. For more information, go to the Health Topics Overweight and Obesity article. Smoking tobacco or long-term exposure to secondhand smoke raises your risk of CHD and heart attack. Smoking triggers a buildup of plaque in your arteries. Smoking also increases the risk of blood clots forming in your arteries. Blood clots can block plaque-narrowed arteries and cause a heart attack. Some research shows that smoking raises your risk of CHD in part by lowering HDL cholesterol levels. The more you smoke, the greater your risk of heart attack. The benefits of quitting smoking occur no matter how long or how much you’ve smoked. Heart disease risk associated with smoking begins to decrease soon after you quit, and for many people it continues to decrease over time. Most people who smoke start when they’re teens. Parents can help prevent their children from smoking by not smoking themselves. Talk with your child about the health dangers of smoking and ways to overcome peer pressure to smoke. For more information about children and smoking, go to the U.S. Department of Health and Human Services’ (HHS’) Kids and Smoking external link Web page and the CDC’s Smoking and Tobacco Use external link Web page. Inactive people are nearly twice as likely to develop CHD as those who are active. A lack of physical activity can worsen other CHD risk factors, such as high blood cholesterol and triglyceride levels, high blood pressure, diabetes and prediabetes, and overweight and obesity. It’s important for children and adults to make physical activity part of their daily routines. One reason many Americans aren’t active enough is because of hours spent in front of TVs and computers doing work, schoolwork, and leisure activities. Some experts advise that children and teens should reduce screen time because it limits time for physical activity. They recommend that children aged 2 and older should spend no more than 2 hours a day watching TV or using a computer (except for school work). An unhealthy diet can raise your risk of CHD. For example, foods that are high in saturated and trans fats and cholesterol raise LDL cholesterol. Thus, you should try to limit these foods. It’s also important to limit foods that are high in sodium (salt) and added sugars. A high-salt diet can raise your risk of high blood pressure. Added sugars will give you extra calories without nutrients like vitamins and minerals. This can cause you to gain weight, which raises your risk of CHD. Added sugars are found in many desserts, canned fruits packed in syrup, fruit drinks, and nondiet sodas. Stress and anxiety may play a role in causing CHD. Stress and anxiety also can trigger your arteries to tighten. This can raise your blood pressure and your risk of heart attack. The most commonly reported trigger for a heart attack is an emotionally upsetting event, especially one involving anger. Stress also may indirectly raise your risk of CHD if it makes you more likely to smoke or overeat foods high in fat and sugar. In men, the risk for coronary heart disease (CHD) increases starting around age 45. In women, the risk for CHD increases starting around age 55. Most people have some plaque buildup in their heart arteries by the time they’re in their 70s. However, only about 25 percent of those people have chest pain, heart attacks, or other signs of CHD. Some risk factors may affect CHD risk differently in women than in men. For example, estrogen provides women some protection against CHD, whereas diabetes raises the risk of CHD more in women than in men. A family history of early CHD is a risk factor for developing CHD, specifically if a father or brother is diagnosed before age 55, or a mother or sister is diagnosed before age 65. Falls are the leading cause of injury-related deaths among persons aged 65 years and older, and the age-adjusted rate of deaths from falls is increasing. The rate of deaths from falls among persons aged 65 years and older increased 31% from 2007 to 2016, increasing in 30 states and the District of Columbia, and among men and women. The study last year by the Centers for Disease Control and Prevention (CDC) also found, not surprisingly, that the risk of dying from a fall increases greatly with age. Among Americans aged 65 to 74, there were 15.6 deaths for every 100,000 people in 2016. That rate jumped to 61.4 deaths per 100,000 for people between the ages of 75 and 84, and it soared to 247.9 per 100,000 for people aged 85 and older. 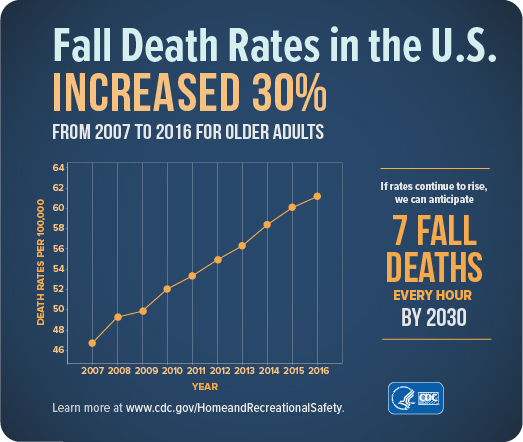 The CDC researchers did not investigate the reasons fatal falls have increased among older Americans, but they point to several possible factors: reduced physical activity; people living longer with chronic diseases (which can make them more vulnerable to falls); increased use of prescription medications (which can slow down thinking and reaction time); and age-related changes in gait and balance. The researchers recommend that physicians assess how much their older patients are at risk of falling, and then help patients address any risk factors that are modifiable — by changing the patient’s medications, for example, or encouraging the patient to engage in specific physical activities to improve gait, strength and balance. Each year, 3 million older people are treated in emergency departments for fall injuries. Over 800,000 patients a year are hospitalized because of a fall injury, most often because of a head injury or hip fracture. Each year at least 300,000 older people are hospitalized for hip fractures. More than 95% of hip fractures are caused by falling, usually by falling sideways. Falls are the most common cause of traumatic brain injuries (TBI). In 2015, the total medical costs for falls totaled more than $50 billion. Medicare and Medicaid shouldered 75% of these costs. Outcomes of falls range from the minor cuts and bruises that anyone could expect to the worst possible results—disability and death. Overall, unfortunately, because of pre-existing health issues, lower bone and muscle strength, and other factors, falls among the elderly tend to have worse outcomes than among the general population. This leads to substantial costs both to the families of fall victims and to society at large. Earlier this year, the United States Preventive Services Task Force reported that regular exercise was the most effective action older people could take to reduce their risk of falls. Physical activity is an important part of healthy aging. Try this Go4Life workout video to help you fit exercise and physical activity into your daily life. In this video, Go4Life fitness instructor Sandy Magrath leads older adults through a workout featuring a warm up, strength, flexibility and balance exercises, and a cool down. Equipment needed: a stable chair, hand weights or evenly weighted objects, and a towel. 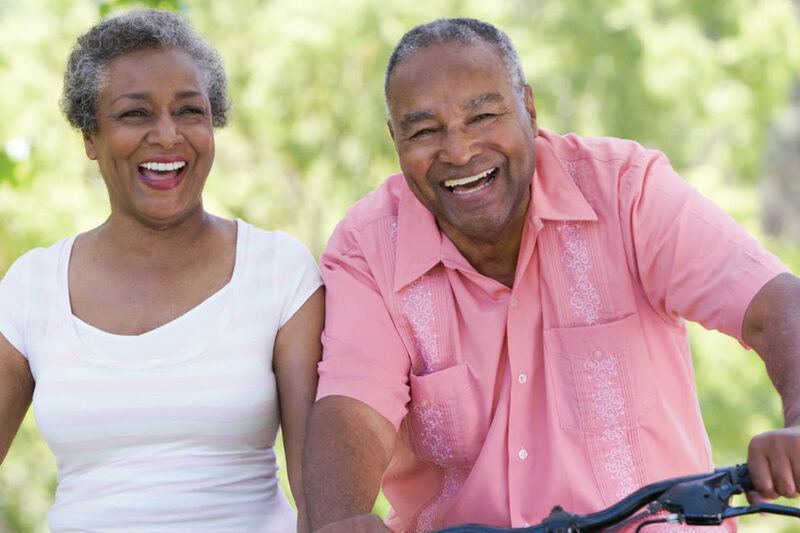 The Go4Life Campaign from the National Institute on Aging focuses on encouraging older adults to make exercise and physical activity a part of their daily life. Use the Go4Life Everyday Exercises to practice the four types of exercise that are important for older adults: strength, balance, flexibility, and endurance. Visit https://go4life.nia.nih.gov/ for online resources, motivational tips, and free materials that can be sent to your home. The holidays are here! For many people, seniors included, this means family gatherings, more shopping expeditions, and possibly a bit of travel. Here are a few holiday safety tips for seniors to make this a safe and healthy end of 2018. Remember to make sure you have any necessary medication (and even a bit extra) before the festive season starts. The last thing you want to deal with is running out on Christmas Day when all the pharmacies are closed. Make sure you pack all your medication if you are going away – preferably keep everything in its original containers, especially if you are going overseas. Don’t be tempted to climb up onto ladders and chairs to put up decorations, especially if you are at home on your own. Nasty accidents have happened this way. Crowded shopping centers can be both overwhelming and dangerous if you are slightly less steady on your feet. Give a relative a shopping list, or go to the shops the minute they open and before the crowds arrive. Do make plans for the festive season in advance, especially if you are on your own. Loneliness and depression can be very real problems over the holiday time. Also be aware that large family gatherings can be noisy and confusing, so try to limit the time you are exposed to them if you find it overwhelming. If you are in someone else’s house, take care not to trip over slippery rugs, or fall over kids’ toys. Be very aware of your changed surroundings, especially when you are in rooms with tiled surfaces, such as kitchens and bathrooms. Also limit your alcohol intake as a glass or two too many can make you accident-prone. Watch what you eat, especially if you have a condition such as diabetes. There could be hidden carbohydrates in unfamiliar foods. If you have digestive disorders of any kind, you will ultimately be happy if you avoid the temptation of festive fare in excess. If you are driving to a holiday destination, try and choose a travelling time that doesn’t fall in peak times such as long weekends or the day schools break up. Use the fact that you are not tied to a job or school terms to your advantage. Rather than spending the day on your own, invite a friend/neighbor or two over. Divide the cooking between you. There is no need for anyone to be miserable on any of these holidays. Phone: 877.357.7233 Please leave a detailed message and someone will respond promptly! The trademarks, service marks, trade names, domain names and logos displayed on this website are either pending, registered, or unregistered Trademarks of Age Safe America or their respective owners. You may NOT use any of the marks without express written authorization of Age Safe America, LLC or their respective owners. 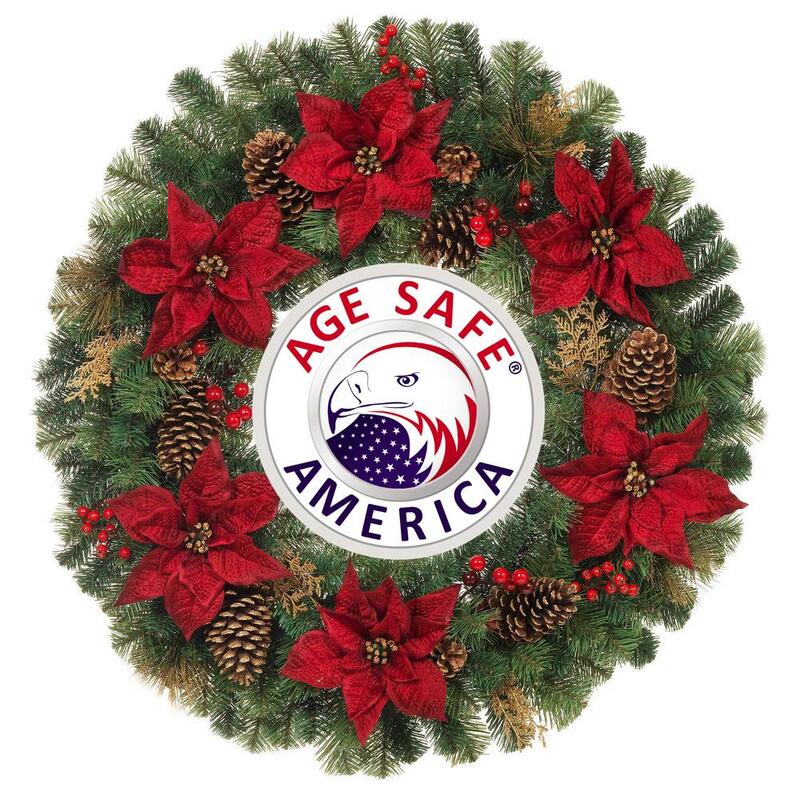 Age Safe America®, Age Safe®, Age Safe Check-in™, Age Safe Assessment™, Age Safe Advisor™, Age Safe at Home™ and Senior Home Safety Specialist™ are either USPTO Registered Trademarks, Pending USPTO Registered Trademarks or Trade Names all belonging to Age Safe America, LLC.